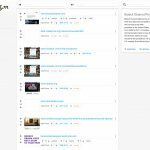 Web archives represent crucial endeavors in preserving the web from the past and provide a valuable resource for researchers of different disciplines. Due to their size, navigation in these collections is often limited to specifying an URI and the desired date. 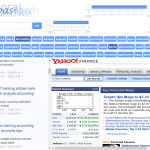 However, typical research questions often revolve around the evolution of entities instead of specific websites. Although full-text search often seems to be the first choice to look up Web pages, while it provides a quick way to yield the best match with a keyword, its diversified ranking is not made for compiling reliable entity related collections. Further, it generally ignores the temporal relevance that is needed to find pages from the past, e.g., in Web archives. 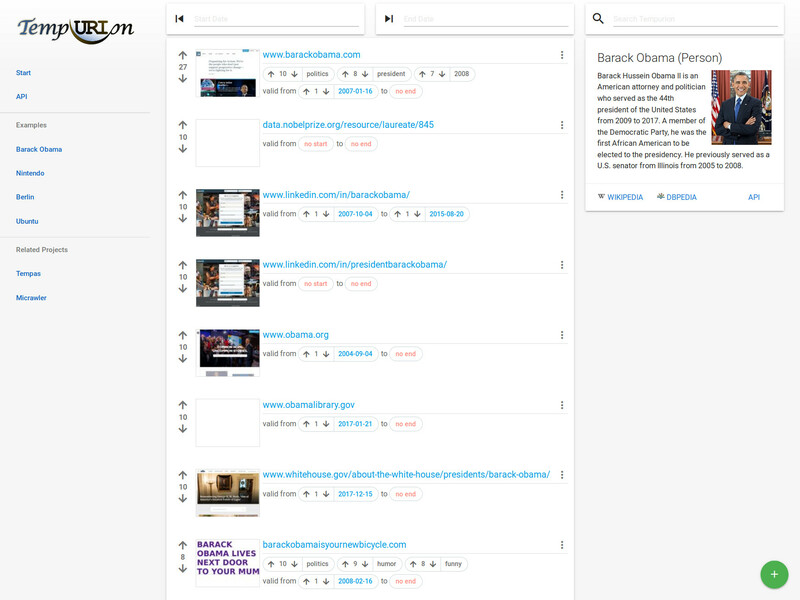 Tempurion provides ordered lists of resources, characterizing named entities over time. For this purpose, different datasets were collected and evaluated by comparing each with a combination of others. Based on these quality assessments, we eventually created an initial database to power our system. Benchmarked against Web search engines, our approach achieves a remarkable precision of 83.3 % and shows promising results for high-quality lookups and temporal collection building. To not only rely on existing datasets, we have implemented interactive mechanisms to get humans in the loop to expand the collection by contributing URIs, metadata and temporal information as well as to correct errors. 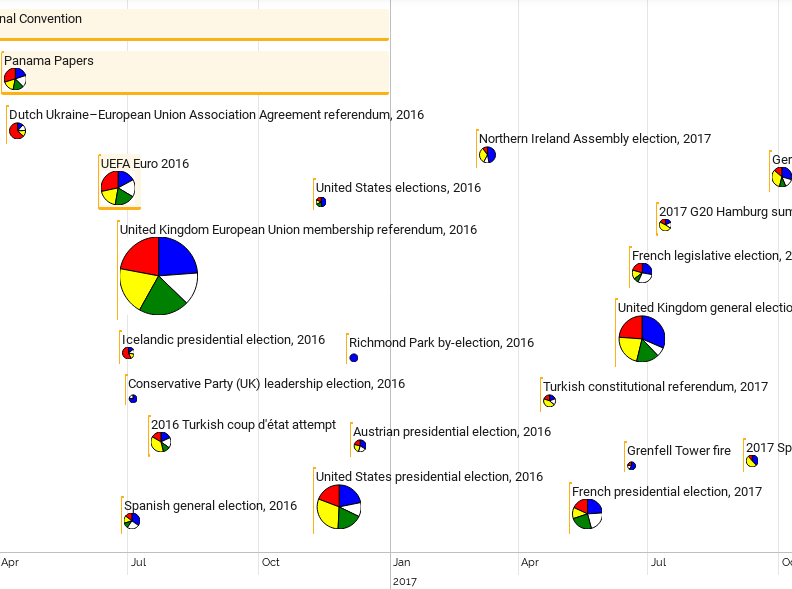 Multilingual event-centric temporal knowledge graphs enables structured access to representations of a large number of historical and contemporary events in a variety of language contexts. Timelines provide an intuitive way to facilitate an overview of events related to a query entity over a certain period of time. EventKG+TL generates cross-lingual event timelines and facilitates an overview of the language-specific event relevance and popularity along with the cross-lingual differences. Wikipedia articles in different language editions evolve independently within the scope of the language-specific user communities. This can lead to different points of views reflected in the articles. 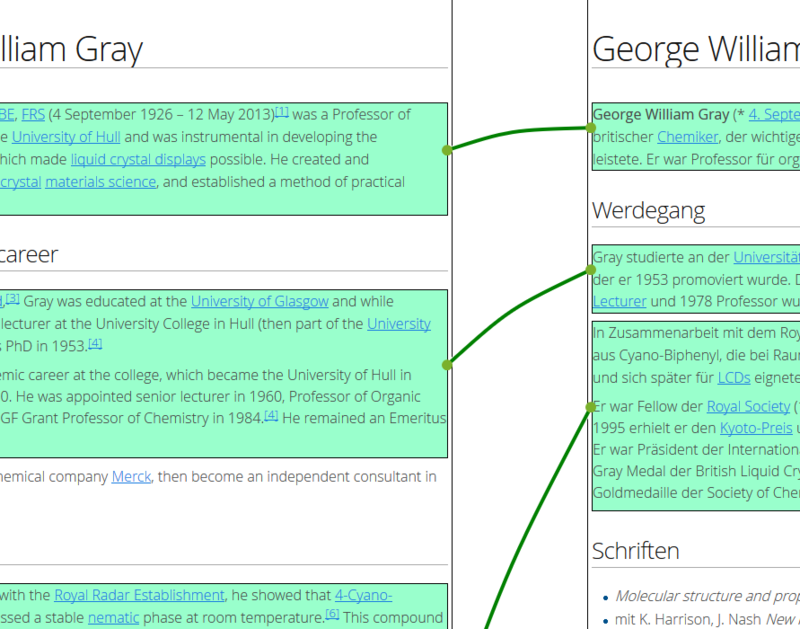 MultiWiki provides an overview of the similarities and differences across the article pairs originating from different language editions on a timeline. 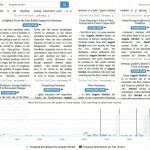 It enables users to observe the changes in the interlingual article similarity over time and to perform a detailed visual comparison of the article snapshots at a particular time point.